senya Mailbox Covers are a fun and easy way to create a mail box that your neighbors and postal workers will love! Our bright, vibrant designs make any mailbox a beautiful all-weather decoration that will add a pop of color to any neighborhood. Mailbox covers switch out quickly and easily to help welcome visitors with our variety of seasonal and holiday designs. 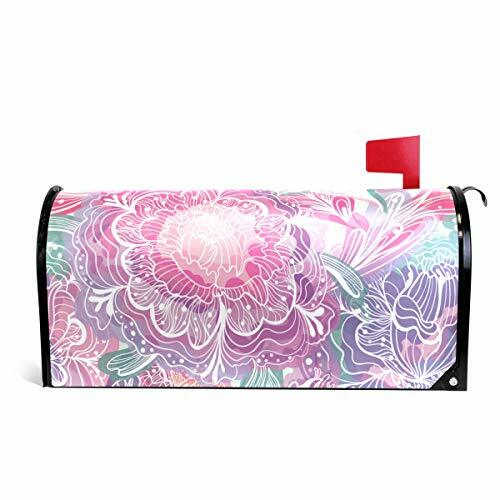 Dimensions : Our Mailbox Covers Standard Size: 20.8"x18"; Large Size: 25.5"x20.8"
If you have any questions about this product by senya, contact us by completing and submitting the form below. If you are looking for a specif part number, please include it with your message. WOOR Gray Light Marble Magnetic Mailbox Cover Oversized-20.8"x 25.5"
Door Frame Light Bulb Customized Magnetic Mailbox Cover Personalized Mailbox Wraps Size 6.5" x 19"